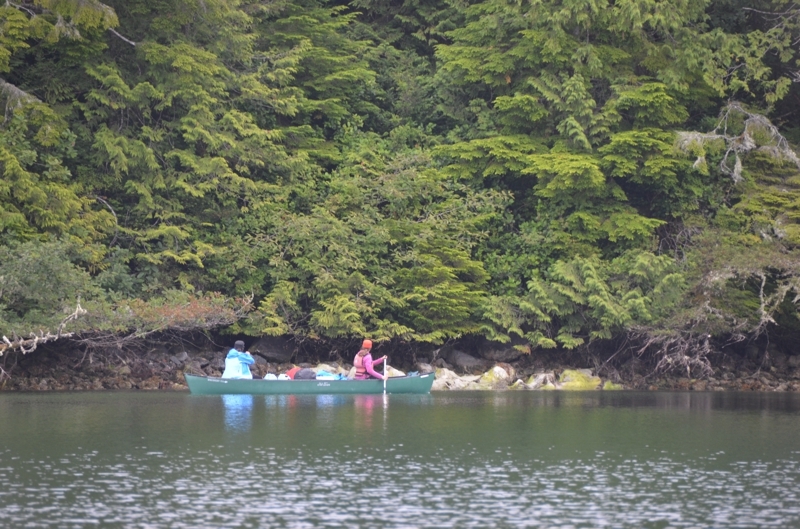 The guidebooks made Jacques-Jarvis Lagoon sound like a secluded spot. The entrance is narrow and shallow, precluding large boats from entering. And space in the bay is limited. When I arrived I was the only boat. 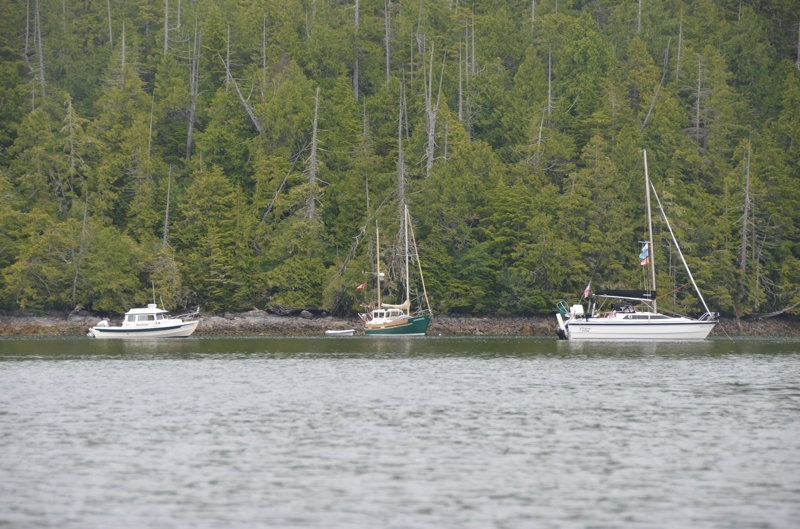 More accurately, I was the only anchored boat. A couple of kayaks and several canoes were paddling around the bay, but I knew we wouldn’t be competing for a spot to anchor! 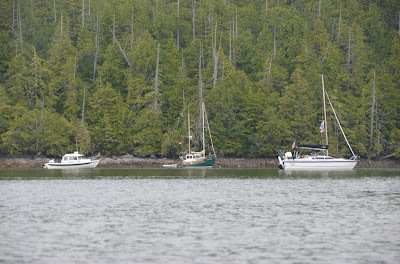 A couple other boats filtered in throughout the day. Both were motorsailors, but with very different approaches. One was Chinook, a MacGregor 26, which is a lightly built, trailerable, planing sailboat. It’s an unconventional design but the owners love it. They’ve trailered it to Alaska, the Sea of Cortez, and all over the East Coast. The other motorsailor was a Fisher 30, a stoutly built, pilothouse equipped boat that might just be the ideal sailboat for the PNW. They’re very salty looking and reportedly good boats. Much slower and heavier than the MacGregor, though. I enjoyed Jacques-Jarvis Lagoon. The exploring is excellent, with plenty of interesting coastline and tidelands. Recommended.